Brooke and Mickey were fortunate to become parents twice in two years. 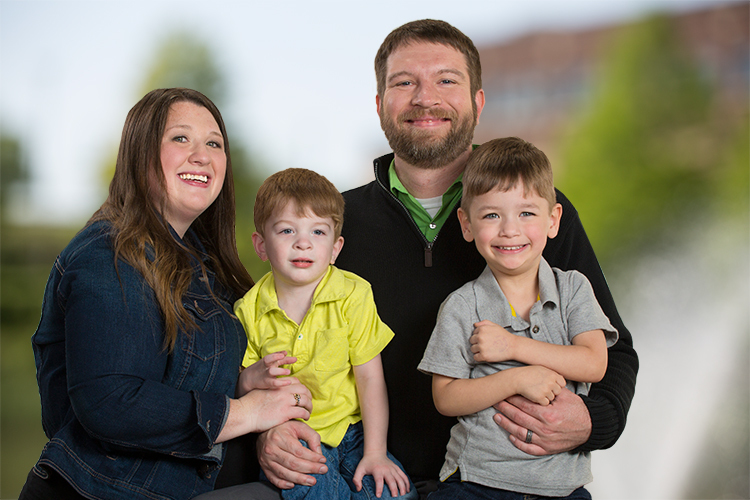 They met their adopted son, Evan, in the neonatal intensive care unit (NICU) at the Peggy V. Helmerich Women’s Health Center at Hillcrest Medical Center. After bringing Evan home, Brooke soon learned she was pregnant. And, exactly one year to the day after Evan was born, the family welcomed Sawyer. The boys spent a combined 139 days in the same NICU. Thanks to the compassionate and knowledgeable team who surrounded them, today the boys are healthy, energetic and happy. With such similar beginnings, these two boys were destined to be brothers.